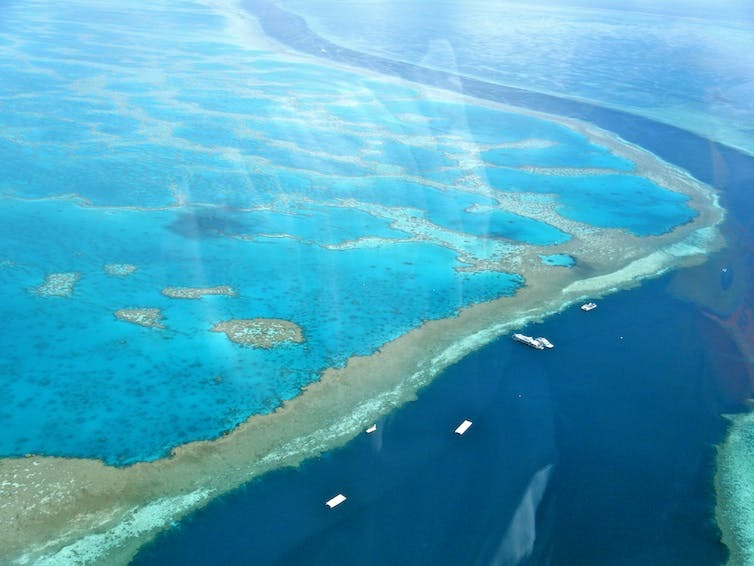 It’s not just about the Great Barrier Reef. Queensland’s rainforests – particularly in the mountains – will also change thanks to a warming climate. Changing fire patterns and invasive species could see dramatic changes in Queensland’s savannah woodlands. 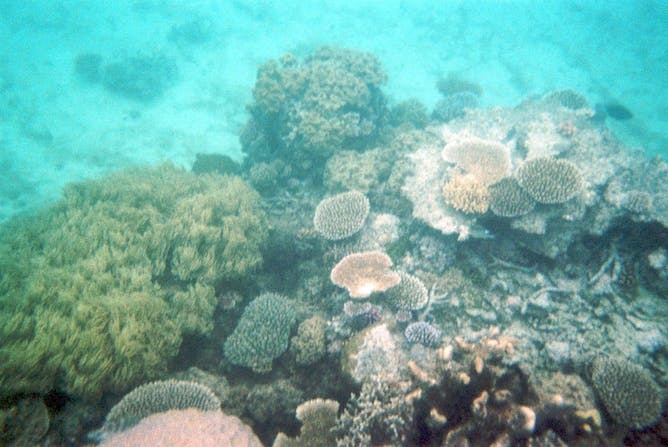 The Great Barrier Reef is already seeing major climate impacts, particularly bleaching. It’s easy to categorise biodiversity and conservation as a “green” issue. But aside from the intrinsic value or personal health and recreation value that most of us place on natural areas, without biodiversity we risk losing things other than a good fishing spot. Cath Moran contributed to developing this article. People collapse, buildings collapse, economies collapse and even entire human civilizations collapse. Collapse is also common in the natural world – animal populations and ecosystems collapse. These collapses have the greatest impact on us when they affect resources our industries depend on, leaving ecosystems in tatters and sometimes ruining local economies. In a new paper, I look at two natural resource industries – fisheries and forestry – that are highly susceptible to collapse. Native forest harvesting in Australia is a highly capital-intensive industry. It uses heavy machinery that costs a lot to purchase, leading to high interest repayments. Such efficient harvesting may not only employ relatively few people, but also outstrip the amount of timber that can be sustainably harvested (like stage four in fisheries collapse). Significant amounts of timber and pulpwood need to be processed continuously to pay the interest and other bills for equipment (stage seven). Moreover, logging may continue even though it is highly uneconomic to do so (stage eight) and other industries that are damaged by logging (such as the water and tourism industries) are significantly more economically lucrative. One key reason this happens is that fish or timber allocations often don’t account for losses from natural events. For example, the mountain ash forests of Victoria rely on severe wildfires to regenerate. They are also extensively logged for paper and timber production. 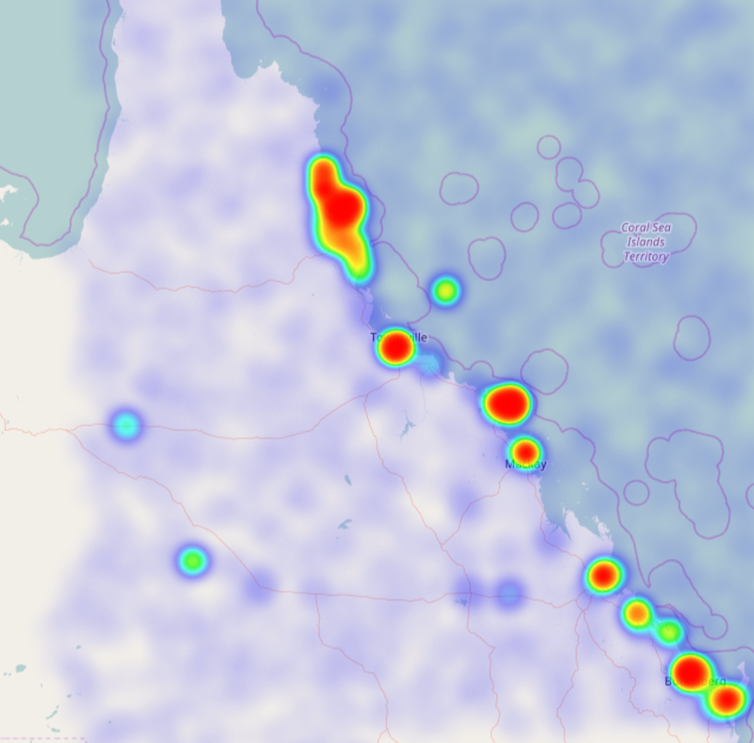 Yet the organisation responsible for scheduling of logging in these forests (VicForests) does not account for losses due to fire when calculating how much timber can be harvested. Major fires in 2009 badly damaged more than 52,000 hectares of this forest. But environmental accounting analyses indicate there has been relatively little change in sustained yield allocation since these fires. Yet, modelling suggests that, over 80 years, wildfire will damage 45% of the forest estate. This amount should therefore should not be included as timber available for logging. Another driver of the problem of resource over-commitment can be gaming, where stock availability and direct employment are deliberately overstated. This may be to secure the status and influence of a given institution with government, or for other reasons such as leverage in negotiations over access to resources. The collapse of the sawlog industry is highly likely, even if there is no fire. This is clear from the pleas from sawmills for access to further forest resources – even when such extra resources basically do not exist. Now the industry needs to transition to plantations for paper production and for timber (82% of all sawn timber already comes from plantations in the state). Alternative industries like tourism that employ far more people and contribute more to the economy must be fostered. There are many examples to draw on – New Zealand is one of many. When governments know in advance about likely industry collapse, then it is incumbent upon them to intervene earlier and help foster transitions to new (and often more lucrative) industries. This ensures that workers can find jobs in new sectors, and the transition is less painful for the community and less costly for taxpayers. Failure to do this is unethical. The closure of the Hazelwood power station in Victoria is a classic example of a lack of planning for industry transition. The need to close Hazelwood was discussed in formal reports by the former State Electricity Commission more than 25 years ago. The need to transition the native forest industry to plantations is equally clear and must be done as a matter of urgency. 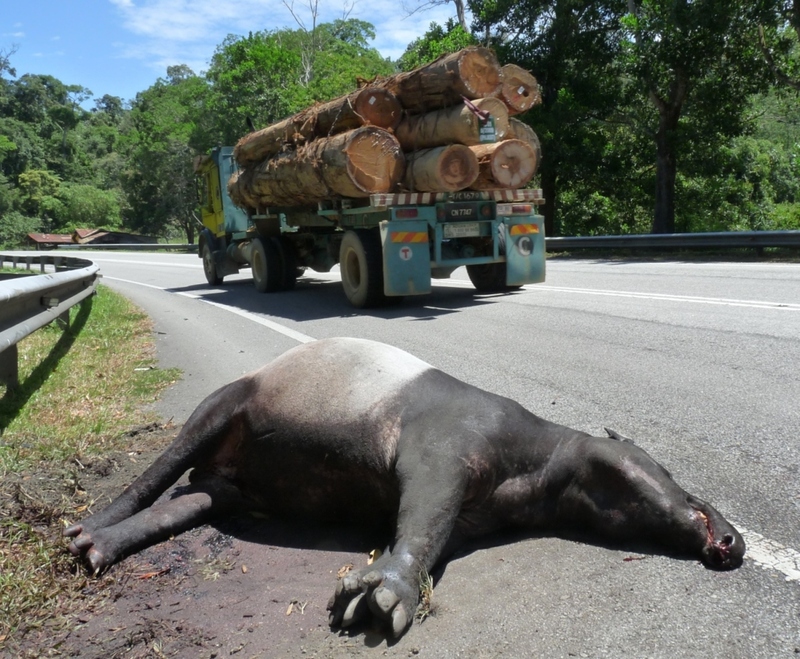 A Malayan tapir killed along a road in Peninsular Malaysia. Remaining roadless areas across the Earth. 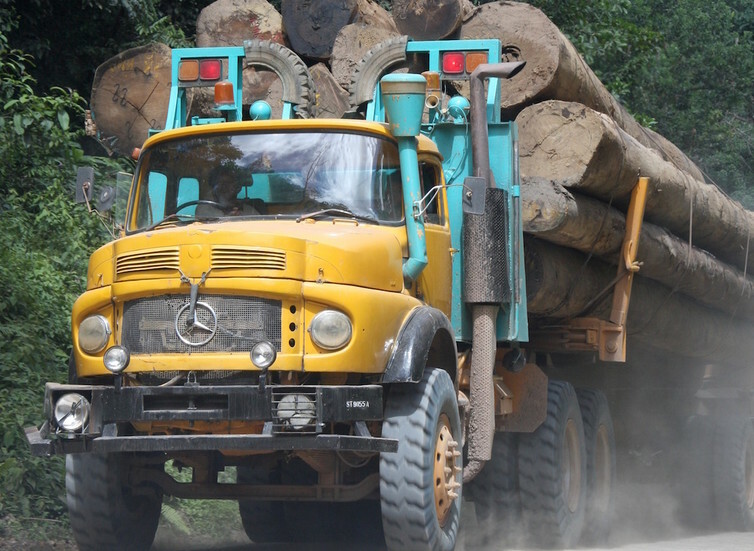 A logging truck blazes along a road in Malaysian Borneo. 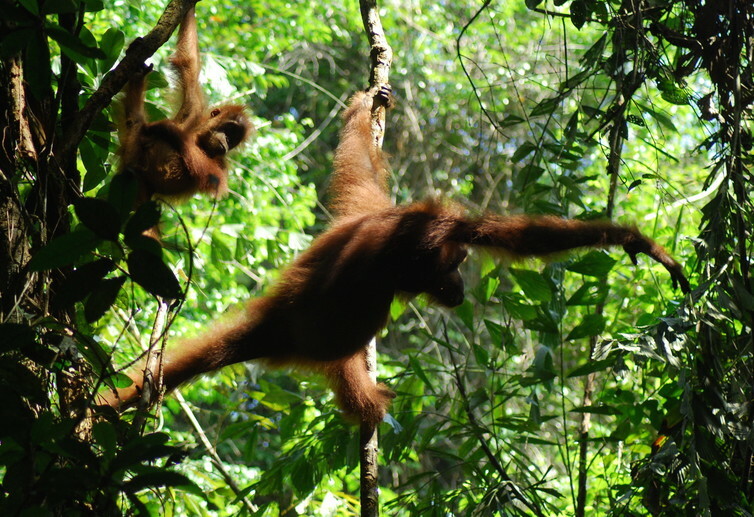 Orangutans in the wilds of northern Sumatra. Part of a global road-mapping strategy. Green areas have high environmental values where roads should be avoided. 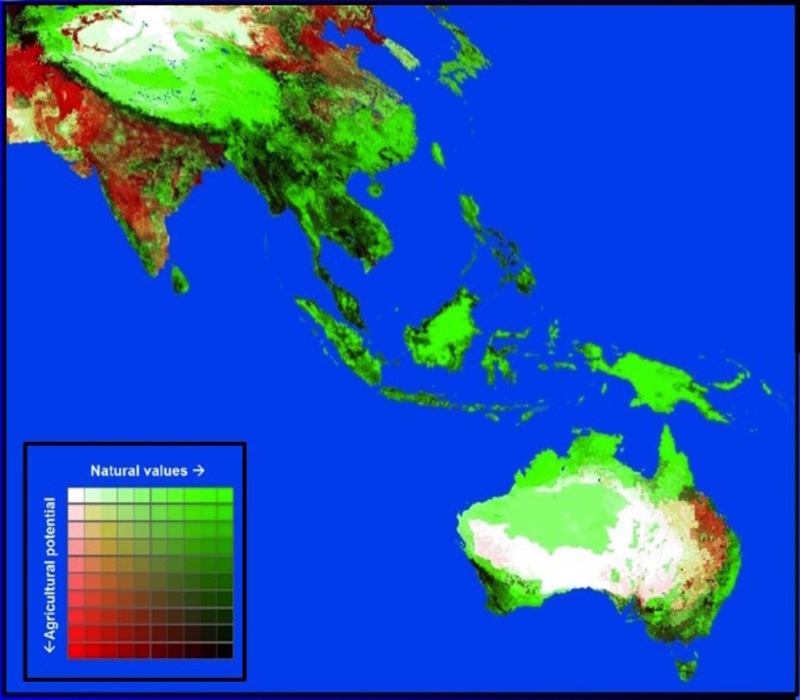 Red areas are where roads could improve agricultural production. And black areas are ‘conflict zones’ where both environmental values and potential road benefits are high. Human activity affects the planet on a scale so vast it can be easily seen from space. 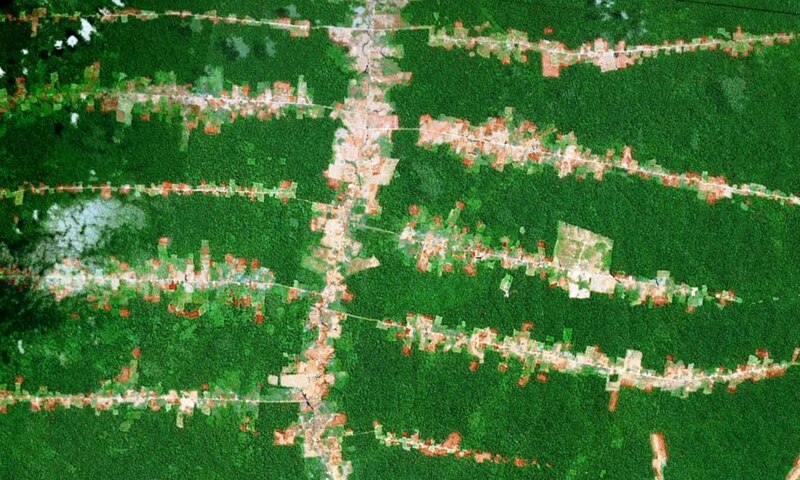 Whether it’s deforestation in the Amazon, urban development in Asia, or mining in the Arctic, humans have modified Earth’s land area dramatically. For almost all wild species on Earth, once the places they live have been dramatically altered, they are unable to survive in the long term. The number of vertebrate species extinctions has been 53 times higher than normal since 1900, and the majority of them are associated with direct habitat loss. In the two and a half decades since the Rio de Janeiro Earth Summit in 1992, there has been a dramatic increase in protected areas. Now 15% of the land is placed under protection – an area greater than South and Central America combined. 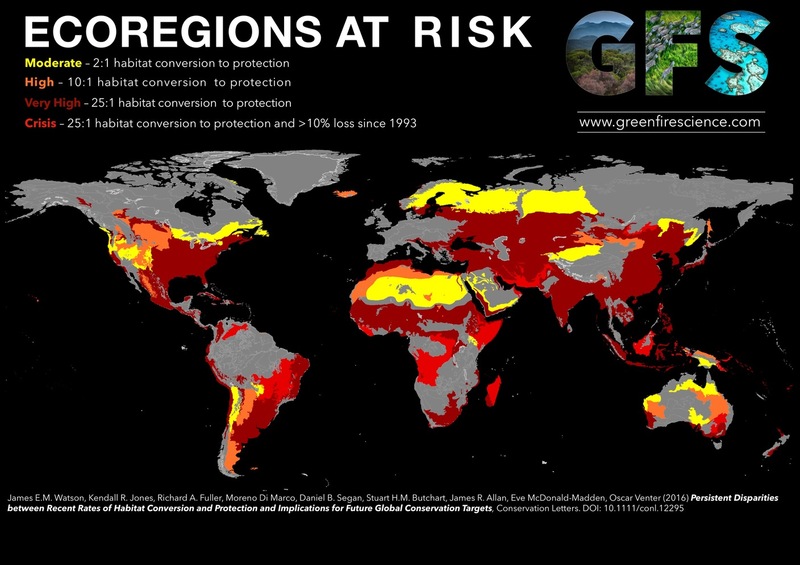 41 of the world’s ecoregions are in crisis. Australia must take the lead. It is time for this nation – one of the most wildlife-rich in the developed world – to account fully for both conservation gains and losses, and as such formally report on how much habitat is being destroyed. This is the necessary first step to identify ways to mitigate these losses and prioritise conservation actions in those regions that are at risk. We need to change how we report on, and deal with, habitat loss, otherwise the mission of the convention – to stop the global extinction crisis – will fail.